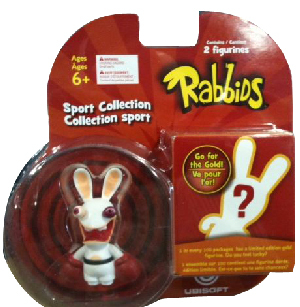 Description Of Item: IN THIS PACKAGE YOU GET THE Boxing RABBID AND ONE HIDDEN RABBID. IN EVERY 100 PACKAGES THERE IS A LIMITED EDITION GOLD FIGURE. FIGURES ARE 2 INCHES TALL.